The Industry 4.0 era requires new quality management systems due to the ever increasing complexity of the global business environment and the advent of advanced digital technologies. 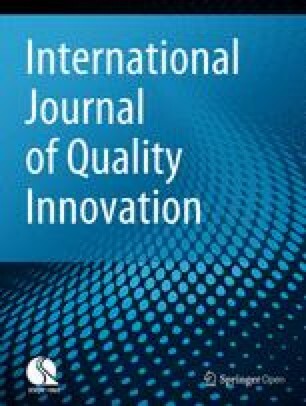 This study presents new ideas for predictive quality management based on an extensive review of the literature on quality management and five real-world cases of predictive quality management based on new technologies. The results of the study indicate that advanced technology enabled predictive maintenance can be applied in various industries by leveraging big data analytics, smart sensors, artificial intelligence (AI), and platform construction. Such predictive quality management systems can become living ecosystems that can perform cause-effect analysis, big data monitoring and analytics, and effective decision-making in real time. This study proposes several practical implications for actual design and implementation of effective predictive quality management systems in the Industry 4.0 era. However, the living predictive quality management ecosystem should be the product of the organizational culture that nurtures collaborative efforts of all stakeholders, sharing of information, and co-creation of shared goals. In today’s competitive global environment, businesses need to be agile, flexible, resilient, and possess dynamic capabilities [1, 2]. The advent of advanced digital technologies makes it possible for firms to completely innovate the concept of quality management. A living ecosystem equipped with advanced digital technologies (e.g., smart sensors, machine learning, big data analytics, and artificial intelligence (AI)) can be developed to manage quality . On August 14, 2018, a 200-m section of the Ponte Morandi Bridge (built in 1968) in Genoa, Italy, collapsed causing 41 deaths, 5 missing, and 15 injured. The main causes of bridge collapse were aging and lack of bridge management. Incidents such as this highlight the importance of bridge maintenance. Structural health monitoring (SHM), a new technique developed for structure maintenance, is an up-to-date technology-based system that analyzes weaknesses of existing systems, such as locating local and global damage structure and the significance of such damages. The speed and precision of decision-making for bridge repair and maintenance are facilitated by real-time monitoring of bridge conditions. Bansal et al. proposed a real-time predictive maintenance system using neural network methods, while Shi and Zeng  suggested a condition-based maintenance strategy that considers economic factors for predictive maintenance in real time. Predictive maintenance, also known as condition-based maintenance, is possible today due to the advanced digital technologies [3, 4, 5, 6]. With the development of smart devices, highly intelligent maintenance systems have become a focus . As information and communication technology (ICT) converges and evolves with industrial fields, major changes are taking place in the field of operation management. Preventive maintenance and quality management methods that were all controlled by people in the past are being transformed to predictive maintenance due to the development of various IT technologies, such as big data and AI [7, 8]. In particular, leading technology companies have recently developed and introduced predictive maintenance systems for quality control . In the past, recovery services were performed after a machine stoppage occurred in a workplace. With the advanced information and communication tools such as smart devices, it is now possible for skilled workers to perform regular maintenance services, such as replacing parts or equipment, at the optimal time [7, 8]. In addition, while there has been an emphasis on optimization of production processes, Industry 4.0 is pursuing optimization for each individual product. Since optimization requires zero defects, quality control is necessary to accomplish this goal. Thus, quality control techniques need to be changed. For example, big data collected from multiple IoT (Internet of Things) sensors embedded in components can support smart production, supply, and delivery for predictive maintenance in real time [7, 9]. Predictive maintenance management requires sharing information on production and inventory levels among networked partner firms, as well as the changing consumer demands [7, 10]. This system of collaboration is expected to aid in satisfying customer expectations through accurate demand prediction, improved service levels, and reliability. Expansion of smart devices with self-diagnosing and predictive failure capabilities will help reduce failures and operating costs, optimize inventories, improve the access to maintenance, reduce the need to maintain spare inventory for safety purposes, and enhance the replacement timing. Industry 4.0 needs to respond aggressively with a number of solutions that encompass safety, quality, value, and cost to meet end-user needs for proactive predictive maintenance strategies . Therefore, to minimize possible losses and ensure flexibility by avoiding sudden downtimes, predictive maintenance is an essential strategic operating method for businesses that are building smart plants for the future . In addition, efforts to diagnose failure of facilities, equipment, and/or systems at an early stage are benefiting from technological advancements in both manufacturing and service industries. There are several real-world examples of software development that support such possibilities [2, 8]. In this study, we analyze actual cases that currently exist in industries to illustrate how service and operational efficiencies can be improved through predictive maintenance. For this purpose, we performed an extensive review of the literature and diverse cases to derive a quality management ecosystem for the manufacturing and service industries for efficient quality management through digital devices in the Industry 4.0 era. The rest of the paper is structured as follows. The “Review of relevant literature” section reviews relevant literature, and the “Case description of predictive maintenance” section presents real-world cases with advanced technologies and devices. The “Conclusions” section concludes the study by discussing the study results and presenting study limitations and future research avenues. AI technology has been implemented throughout many industries. In particular, machine learning technology has spread to both the manufacturing and service industries in an attempt to improve productivity, quality, and efficiency of facility maintenance. The use of technology to improve quality is important because it facilitates changes in culture, leadership, collaboration, and compliance . However, “Quality 4.0” which is suggested by LNS Research is not a technology, but a process used to maximize value for the users of technology . Thus, quality management in the Industry 4.0 era should be approached from a predictive perspective based on digital technology rather than from a preventive perspective. Jacob , (p. 5) stated “Industry 4.0 initiatives are not being led by quality, but by IT, operations, engineering, or sales and marketing.” This is due to the lack of a clear understanding of the significance of technology and applications required in the Industry 4.0 era, and this lack of understanding may result in a situation where it is difficult to flexibly and nimbly respond to the changes required for future quality management . For example, when quality control systems on a production line detect a problem, does it mean there is an issue with only the specific items tested, or with all items? It would be difficult for technicians to make this determination. Errors can occur at any stage of the production process and can be caused by a number of factors, from loose soldering to adverse environmental conditions. Quality control technicians can quickly decide whether the analysis indicates an isolated defective item or a systemic failure that may lead to major problems in the future. For example, at an IBM semiconductor packaging plant in Canada, 97% of fault patterns can be identified automatically, eliminating hundreds of thousands of dollars per year in scrap costs. Furthermore, what-if analysis showed that controlling humidity at a critical point in the plant’s manufacturing line would improve product quality and deliver a 160% return on investment . In quality management, the concept of “predictive” maintenance is different from “preventive” maintenance. While preventive maintenance focuses on identifying and preventing problems that may occur in the future, predictive maintenance focuses on cost reduction and failure prevention by identifying exactly when parts of a product are likely to cause problems, enabling replacement or repair at exactly the right time [7, 9, 13, 14]. Predictive maintenance is being realized in the form of smart factories based on IoT, CPS (Cyber Physics Systems), sensor technology, and AI technologies. While factory automation in the past was optimized only for each unit process, with little flexibility, a smart factory can achieve optimization with flexibility because objects in the factory are connected to the IoT. Big data from factory processes is automatically collected, analyzed, and triggered for resulting in active decision-making in real time. As an example, BOSCH, the world’s number one automotive parts company, is actively implementing predictive maintenance and quality control through a software tool it developed, the “Nexeed Production Performance Manager.” With simple controls, the person in charge of maintenance can have a positive impact on both product quality improvement and maintenance through continuous monitoring of process data and performing advance maintenance work with as little downtime as possible . In Industry 4.0, the use of condition-based maintenance technology for intellectual maintenance involves three stages: real-time condition monitoring ➔ big data processing ➔ maintenance timing and scope determination . Real-time condition monitoring is the process of monitoring equipment parameters or conditions for all equipment in the plant to detect errors or identify changes . Therefore, predictive maintenance monitors the condition of all production facilities, equipment, and products in real time through the IoT; predicts remaining useful life (RUL) through signal processing, machine learning (deep learning), and data analysis; and determines the optimal maintenance cycle and scope [7, 9, 13]. However, although predictive maintenance can be used to predict potential errors earlier than preventive maintenance, it requires a high level of investment in capital and expertise . Smart manufacturing systems in Industry 4.0 can predict RUL of mechanical equipment and systems, which can prevent accidents or failures in areas difficult for operators to access, and allow faster response, thus preventing downtime caused by failures. They can also reduce maintenance cost through component replacement, reducing the opportunity cost of losses due to downtime during the period [7, 9, 10, 13]. Consequently, quality management will be reshaped in the form of predictive maintenance management by expanding the scope of applied technologies to various areas, such as production, maintenance, and post-sales management. Many recent examples of AI, smart sensors, smart robots, and other intelligent maintenance management can be found in companies today. In the following section, we seek predictive quality management approaches through case analyses of quality 4.0 in manufacturing and service companies, which helps develop a new digital business model through smartization of materials, parts, and equipment in factories. Rolls-Royce is one of the world’s top three aircraft engine manufacturers, producing more than 500 airline and 150 military aircraft engines in 2018. As Rolls-Royce’s production environment has gradually been networked and the IoT environment has evolved, the company recently began using big data to maintain aircraft engines, generating a huge amount of data . These changes have led to the development of information and communication technologies for data analysis to seek operational strategies to minimize losses by preventing mistakes during the design process or failures that may occur during the manufacturing process . Rolls-Royce utilizes big data processes in three major areas: design, manufacturing, and after-sales management, in an operational plan that can detect and monitor product status before problems occur. Rolls-Royce uses nanobots to perform predictive maintenance and inspections, which can better communicate engine services and increases the use of robots in places that are dangerous or inaccessible to humans . This approach provides an opportunity to improve engine maintenance methods by increasing the speed of the inspection process as part of performing maintenance tasks or eliminating the need to remove an engine from an aircraft. Through predictive maintenance, Rolls-Royce is proactively preventing any delays by managing when maintenance is required on aircraft engines . The company collects and analyzes data not only in engine design and manufacturing but also in post-sales management. With hundreds of sensors, each small part of a device records and reports to a professional engineer in real time, allowing the engineer to determine appropriate actions through data analysis. Currently, Rolls-Royce collects 65,000 h of gas turbine-engine running data daily, with about 100 vibration, pressure, temperature, speed, and flow sensors attached to 14,000 engines owned by 500 airlines [17, 19]. Rolls-Royce provides real-time management through data collection after the sale of an engine as a “Total Care” service; this is known to minimize delays and cancelations caused by gas turbines defects, which cost approximately $45 million per day [17, 19]. The company accounted for 54% of the aircraft engine market share in June 2013, with more than 50% of its revenue generated through total care services . Rolls-Royce has also developed a digital platform (a collaboration with Tata Consultancy Services Company in India and Microsoft Azer) to connect external information, such as air traffic control, weather, and fuel consumption, with sensor data collected from its own engines for an at-a-glance view . These platforms provide information on predictive maintenance in advance of any device problems, delivering new value-added information to airline maintenance teams and customers, enabling a new form of quality management using predictive maintenance . One reason Rolls-Royce is providing a basis for maintaining quality control through predictive maintenance is that it has the ability to utilize big data analysis, smart sensors, AI, and platform construction. In the future, Rolls-Royce expects a business environment will be created where computers can make their own decisions in certain situations through machine learning (deep learning). Hyundai Motor Co., the world’s eighth largest car maker in 2017, announced on October 18, 2018, that it has developed an AI Car Diagnosis System that uses AI to diagnose vehicle faults based on noise and a Knock Sensor Detection System (KSDS) to analyze vibrations and determine whether an engine is abnormal [21, 22]. The AI Car Diagnosis System can execute a complicated process by itself through deep learning and has been proven in recent experiments; in one experiment, the accuracy of 10 noise analysis experts was 8.6%, while the accuracy of AI was 87.6% . The company said that KSDS will enhance consumer safety and increase problem prevention; even before it is commercialized, Hyundai is voluntarily applying it to domestic and overseas sales models starting from the third quarter of 2018 . A future consideration is installing AI in vehicles to diagnose faults or placing it at the end of the vehicle production line to identify any abnormalities in new vehicles . This technology will be applied to Hyundai Motor’s repair center in Korea by 2019 . The AI Car Diagnosis System uses AI data related to about 800 existing engine faults. AI software can solve a problem by finding the fault area and cause using only noise, and its credibility has been proven in tests. Hyundai Motors focuses on an operation plan that can improve quality through predictive maintenance, which can diagnose and prevent problems before they happen so consumers can drive more safely and comfortably . Through AI technology, it may be possible to improve accuracy by combining sound, vibration, temperature, and other factors, resulting in a system that could be applied to all mechanical things, not just cars. Since AI involves learning, to maintain the quality of diagnoses, data of a variety of noises generated by automobiles must be collected and analyzed. Therefore, it is necessary to use big data analysis, AI, and platform construction. BOSCH is composed of business units that include industrial process technology, energy and building equipment, consumer goods and home appliances, and automotive technology. BOSCH is one of the leading companies that actively implements predictive maintenance and quality control. The firm has been known as a manufacturer of traditional automotive parts and home appliances. In recent years, BOSCH started IoT-based solution supply and consulting businesses. BOSCH supports assembly work without mistakes under any circumstances through its operator support system, which combines wireless communication with technologies such as smart glasses and sensors. If work is done properly, a module receives a green light, and the system gives a work instruction to the worker through that module, easily managing the work process. The system or machine also implements a predictive maintenance by establishing a smart response system that operates according to conditions . For prescriptive maintenance and quality control, BOSCH utilizes its Nexeed Production Performance Manager, a software tool that collects data from various sources in the production environment and then standardizes and combines the data to visualize and analyze it. This tool shows the current state of individual machines as well as the overall production system, which allows a maintenance worker to perform maintenance tasks with little downtime (BOSCH, 2018) For example, the Nexeed Production Performance Manager monitors the parameters defined in the production process and immediately notifies the appropriate technicians when conditions exceed the warning limits or threaten the process. Using the data processing module, the worker in charge can perform the required repair individually by selecting the default rules from the catalog. This predictive maintenance management can improve production efficiency and reduce the cost of defects and errors that can occur in the equipment . The Nexeed Production Performance Manager can also improve product quality by continuously monitoring and logging process data as well as maintenance data. BOSCH is able to maintain quality management through its predictive maintenance based on its use of big data analysis, smart sensors, AI, and platform construction. John Deere is implementing SAP’s Predictive Maintenance & Service (PdMS) technology to predict facility defects before a fault occurs, thus reducing maintenance costs and moving toward efficiency optimization [14, 24]. The company provides agricultural consulting services, collecting and analyzing data about things such as machinery, weather, and soil, using sensors and a drone attached to farm equipment. The operation information is provided through GPS, and helps optimize the yield of agricultural products by providing the user with optimal farming information, such as soil acidity and organic matter content at the current location. In other words, it provides a basis for maximizing productivity and the quality of agricultural products through preliminary reviews . John Deere provides a nutrient application total optimization service throughout the entire agricultural harvest cycle of prior (field preparation)—process (seeding and harvesting)—post (soil improvement) . These services provide customers with benefits such as minimizing downtime, reducing warranty costs, location-based real-time monitoring, and rapid supply parts planning, while enhancing the brand’s value. From the simple product sales level, the product’s status is continuously monitored in real time through sensors attached to the product after sale, providing customers with information about the product’s operation and maintenance and the opportunity to maintain the product in advance. In other words, reducing maintenance costs and improving product quality can lead to growth in the company’s revenue. Clova was developed by Naver, a Korean IT firm, as a smart speaker that can control various devices through a single controller, including the IoT . Based on smart sensors, remote control and voice-based control are possible through various AI algorithms and recommended systems; natural language processing, images, computer vision, and conversation functions can all be performed through AI algorithms . AI is the most important factor in Clova and represents a paradigm shift to a dramatic real-time service. Although additional technology developments continue to add features, the most important tool needed to provide these services will be accurate information. Since Clova apps often use weather as well as location to provide information, the company will need to monitor these real-time big data to provide customers with more convenient services. Clova is able to maintain quality control through prescriptive maintenance based on its use of big data analysis, smart sensors, AI, and platform construction. Table 1 shows a summary of case examples. A review of case analyses suggests that predictive quality management approaches require advanced technologies to provide real-time service through network-in-time (NIT) on cyber-physical systems. NIT automatically provides accurate information for quality management in real time. The just-in-time (JIT) system attempts to increase efficiency and decrease waste by receiving components/parts just in time for production. NIT is for collecting all the relevant quality data and information in real time on cyber-physical systems through intelligence sensors or devices. How should a living quality management ecosystem be structured in the Industry 4.0 era? The number of companies participating in the data analysis business is surging. For example, GE Digital provides a platform (PaaS) called “Predix” as a service to airlines, healthcare, energy, manufacturing, and transport companies, so they can better utilize their data. Predix allows operators to acquire work expertise, reduce the time needed to adapt to the site, and enables them to proactively detect fatal errors that occur on site and respond to them in real time. A second example is the partnership between Schneider Electric and Microsoft, which helped improve drinking water quality control in Seminole County, FL, USA, through their collaboration in the development of a state-of-the-art analysis solution, the Ecosystem. GE, Siemens, Cisco, SAP, and BOSCH have already taken a lead in the platform. The examples presented above are summarized in Table 2, highlighting that the basic requirements for achieving a living quality management ecosystem include a predictive maintenance management strategy through big databases and data analysis, real-time simulations, and platform deployment. The convergence and integration of innovative technologies have led to development of the IoT, digital technology, big data, cloud computing, 3D printing, smart sensors, ICT, and robots, which are gradually establishing a world that can be realized in the future. To continuously maintain and improve the quality of products, real-time data must be collected and analyzed, and diagnosis must be performed through AI [3, 4, 5, 6]. Therefore, the use of big data analytics, AI, and platform construction is necessary. As shown in Table 2, the objectives for quality management through predictive maintenance can be achieved by establishing basic requirements and operational processes. In many companies, a maintenance team analyzes data and identifies the problem, then implements AI using the major sensors, and applies deep learning diagnostics to identify repair or replacement needs [7, 9, 10, 13]. However, predictive maintenance for quality management, for which advanced technologies are an integral part, may raise the issue of industrial security risk. In addition to the risk of external malicious code infiltration (a cybersecurity problem), the industry’s complementary management could be a major issue because the vulnerability of the system itself can create problems such as unauthorized remote access, internal network access through unauthorized devices, employee errors, intentional program leaks, and unauthorized asset leaks. At the Davos Forum in Switzerland in January 23, 2016, futurist Klaus Schwab , Founder and Executive Chairman of the World Economic Forum, emphasized the need to revolutionize the economy and society, arguing that the Fourth Industrial Revolution is not about changing what we do, but about changing our humanity. This can be perceived as emphasizing the fact that in all industries, innovation can break away from existing frameworks and the notions that society may be lost without responding properly to Industry 4.0. We can learn this lesson from the fall of well-known global companies such as Nokia, Kodak, and Toys “R” Us that were once among the world’s leading companies . The Fourth Industrial Revolution is an extension of the digital paradigm, similar to the Third Industrial Revolution, but with a wider range of economic and social disruptions through digital transformation, such as product and service innovation, jobs, and welfare, which are all, unpredictable and complex. Reports of the IBM Institute for Business Value , Capgemini , and Agile Elephant  defined digital transformation as an enterprise that incorporates digital and physical elements to transform business models and sets new directions for the industry. This broad concept describes the transformation of processes, digitizing assets, and changing the way organizations think and work; the creation of new type of leadership and business models; and the use of technologies to enhance the experiences of customers and employees. The results of this study provide several theoretical and practical implications. First, to enable predictive maintenance in the Industry 4.0 era, advanced digital technologies need to be applied to enhance productivity and value creation. Second, although application of big data analytics is possible based on real-time, experts who can control and make decisions based on data analysis should be provided with policy support. Third, for predictive maintenance for quality management, implementation methods should be proposed through development of conditions for field ecosystems, methods for measuring cause-effect analysis, and expected outcomes. Improvements in systems and training/education should be developed for the use of AI-supported ecosystems with embedded digital technologies and statistical tools (e.g., cause-effect analysis, regression analysis, cause-effect diagrams, t tests/ANOVA tests, and performance/cost measurements). Fourth, in addition to utilizing digital tools, introduction of blockchain technology can be a major factor in predictive maintenance for quality management in the future. Based on these suggestions, the expected value of predictive maintenance and quality management can be enormous for cost reductions, improving work efficiency, agile responses, asset retention, and information sharing. Although quality 4.0 includes quality digitization, it should also include quality technologies, processes, and people that impact digitization. Quality management in the past was performed by data-driven decision-making, but currently, evidence-based decision-making has become more important and the role of analysts has been emphasized because big data is collected in real time [1, 8, 14]. Today, posting pictures on Facebook, reading articles on smart phones, and paying with credit cards using smart mobile devices have become routine activities. While these may seem to be just part of everyday life, every single action is being recorded as data, and many companies are looking for a business model that uses such data. This has emerged as the significant value of big data. AI has also become the umbellar factor in processing the accumulated big data for knowledge creation. Therefore, quality management in Industry 4.0 should be changed not only by the use of evidence-based data, but also in the form of predictive maintenance management ecosystem based on people and processes [7, 9, 10, 13, 14]. However, the position presented in this study is controversial because it suggests the direction of quality management in the future based on digital technology-based predictive maintenance cases. As AI-based technologies have recently entered our lives and applications have been made in a number of areas where they can proactively respond to problems, this research contributes academically as it presents a basic direction for quality management through predictive maintenance in the Industry 4.0 era. In addition, the case analysis of this study has practical value, as it can be used for benchmarking as excellent examples. More practical suggestions regarding predictive maintenance for quality management are as follows. Predictive maintenance for quality management should be implemented as a result of organizational culture, which fosters rethinking the role of training/education and leaders, develops ways that all employees can participate in continuous improvement, and pursues and applies real-time big data analytics. In the future, predictive maintenance for quality management will play a key role in enhancing competitiveness by creating new value for all the stakeholders. In 2016, Manufacturing Business Technology forecast that predictive maintenance will save $630 billion in costs over the next 15 years . Since the present study presented a theoretical direction for predictive maintenance for quality management in Industry 4.0 through literature review and case analysis, but not based on empirical data, a limitation of the study is that its theoretical proposal has yet to be verified. Future research should consider conducting empirical research. Additionally, the validity of application plans for predictive maintenance for quality management through big data analysis, AI, platform building, deep learning, smart sensors, ICT, and robots should be examined more systematically in the future. There was no funding support for this study. This is a conceptual paper, and no data was collected for analysis. All authors contributed to the developing of the manuscript. All authors read and approved the final manuscript.